Images not displaying correctly? View in your browser. and what good numbers they are! all sectors of the property industry, representing more than 100 countries. FIABCI members were among them. The presented analysis is the data-driven argument for the walkability increase in several areas in central London presented by Zaha Hadid Architects in collaboration with Habidatum. PRINCIPIOATTIVO Architecture won the competition for the redevelopment of an historical complex in Rome, a real estate operation worth 27.6 million euros. Founded in 1951 in Paris, FIABCI is the most representative global business networking organization for all real estate professionals (Managers, Developers, Investors, Architects, Brokers and other experts). 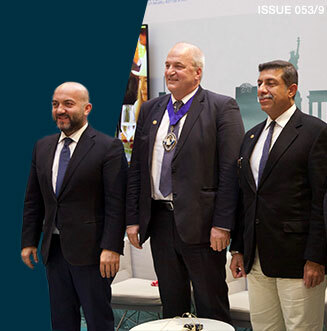 Being composed of 49 chapters in all continents, FIABCI has more than 100 Principal members (National Associations), 2300 regular members over 70 countries and over 1 million associate members around the world. FIABCI holds special consultative status at the Economics and Social Council (ECOSOC) of the United Nations. please send a blank email from your subscription address to this link.